Divorce is a personal, emotional, and difficult time for families, which is why Concord lawyer Aimee E. Cain offers compassionate and effective approaches to family law matters. 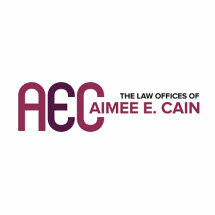 At the Law Offices of Aimee E. Cain, our goal is to obtain the best results possible for our clients so they may confidently move forward to the next stage in their lives. Providing our clients with skilled representation requires more than a solid understanding of the law; it demands empathy for the emotional difficulties inherent to divorce, alimony, and child custody and support. Whether the domestic matter you are facing is complex or simple, the Concord family attorneys at the Law Offices of Aimee E. Cain will help you get the best result the law provides in an efficient, cost-effective manner. Alternative Dispute Resolution (ADR) - ADR includes mediation and arbitration, which allow the parties to negotiate and settle their issues without the necessity of a trial. Ms. Cain is a Concord mediator certified by the North Carolina Dispute Resolution Commission and has substantial experience helping parties resolve the most complex domestic issues through mediation and arbitration. Collaborative Divorce - Collaborative divorce is a process by which both parties agree to resolve their issues outside the courtroom. Arbitrators, mediators, parenting coordinators, and appraisers may be brought into the case to help resolve any conflicts. It is a team effort to reach a result in the family's best interest while still being represented by a knowledgeable Concord family law attorney. Child Custody & Support - No parent wants to lose the companionship of his or her child, and issues of child custody and support can be legally complicated. Cases that involve high conflict parenting issues that continually bring parents to court may benefit from the involvement of a parenting coordinator. Aimee E. Cain is a certified parenting coordinator and has assisted parents in numerous high-conflict custody cases in North Carolina. Martial Agreements - Marital agreements offer another alternative to litigation and at a fraction of the cost, both emotionally and financially. There are three martial agreements the Concord attorneys at our office can assist you with prenuptial agreements, postnuptial agreements, and separation agreements. Due to the complexities of drafting fair and enforceable agreements, it is crucial you consult a knowledgeable North Carolina divorce attorney. Alimony - Also referred to as maintenance or spousal support, alimony is the provision of financial support of a dependent spouse by a supporting spouse after separation or divorce. The amount of alimony is based on the reasonable needs of the dependant spouse and the ability of the supporting spouse to pay. Equitable Distribution of Property - In order to divide the assets acquired during a marriage, North Carolina uses "Equitable Distribution". Aimee E. Cain offers a history of successful negotiation, arbitration, and litigation of marital property divisions for the citizens of Cabarrus and surrounding counties. She is a Certified Family Financial Mediator.